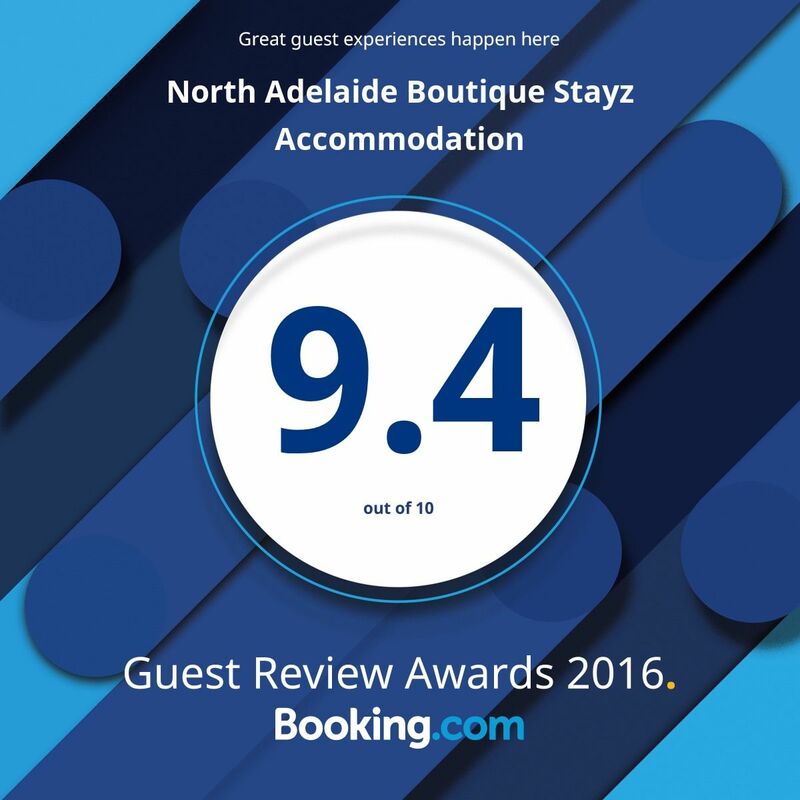 North Adelaide Boutique Stays Accommodation offers you an intimate boutique accommodation experience during your stay in Adelaide. Built in 2014, our contemporary interiors are individually designed, showcasing bespoke soft furnishings and original artworks. Your own personal bar provides a sophisticated element to your stay. 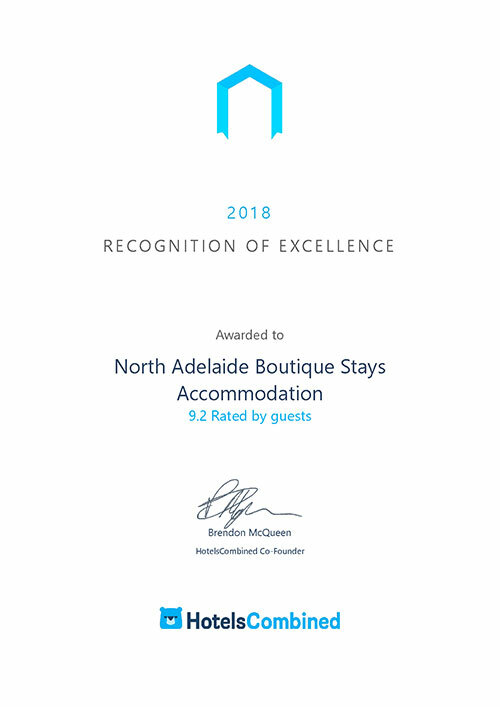 Whether you are travelling for business or pleasure, North Adelaide Boutique Stays Accommodation offers you a variety of accommodation options and packages. The government and business traveller has been thoughtfully anticipated by offering a variety of facilities. Providing complimentary use of our Hi-Speed WiFI, iPads in every room, complimentary parking and a personal bar all ensures a seamless travel and accommodation experience. We are delighted to negotiate corporate and government rates for your organisation’s accommodation requirements which will be fixed for 12 months. Sporting and Group travel rates are happily negotiated upon request. Book online via our website, or call us direct to receive the most competitive hotel rate, saving you time and money.